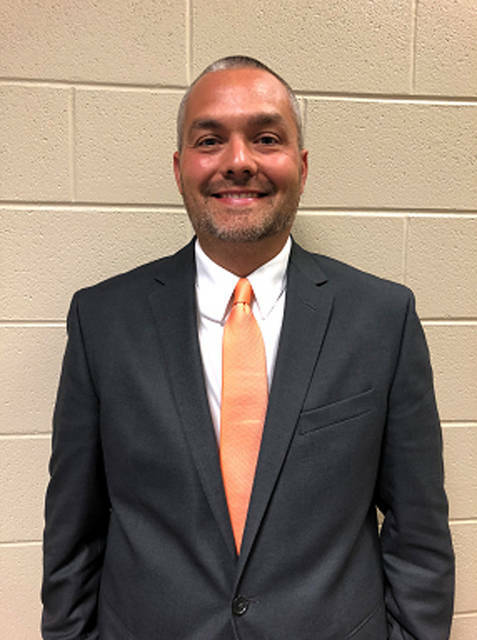 ARCANUM – The Arcanum-Butler Local School Board appointed Jason Vince as the new principal for Butler Middle School at the regular board meeting held on Thursday. Vince will assume his new duties in the school district in August for the 2018-19 school year. Vince has been a social studies teacher at Dixie High School for the past 14 years. In addition to teaching Advanced Placement courses, he served as the department head and was the building and district leadership team representative. During his tenure at Dixie, Vince was a Franklin B. Walter Teacher of Influence and New Lebanon Local School District Teacher of the Year. He also served as the junior varsity and assistant varsity basketball coach for Brookville High School since 2011. He was a Southwest District Assistant Coach of the Year in 2014, 2016 and 2017. Originally from Springfield, Vince graduated from the University of Toledo with his bachelor’s degree and obtained his masters in educational leadership from the University of Dayton where he also completed the Principal Licensure Program. Vince and his wife, Jessica, who is a third grade teacher at Dixie Elementary, reside in Brookville. They have three children, Jordan (9), Janelle (5) and Jaycie (3).